Doi moi is still one of my favorite restaurants in Logan Circle. It's varied Southeast Asian menu with lots of vegan options inside one of the coolest dining rooms in town never disappoints and this visit was no different. We stopped by with no reservation on this Monday night and were seated immediately. I ordered a fantastic cocktail, but can not remember the name of it. I've had a really good experience here with cocktails. For my dinner, I ordered the Kee-Mao Stir-Fried Rice Noodles. 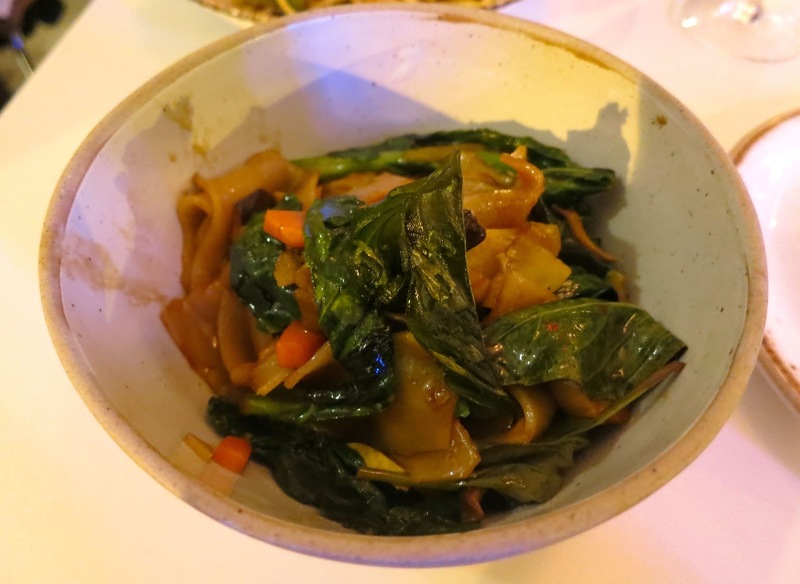 This dish was chock full of veggies with drunken noodles. With wild mushrooms, snap peas, zucchini, carrots, baby corn, and basil, this dish was a culinary delight. 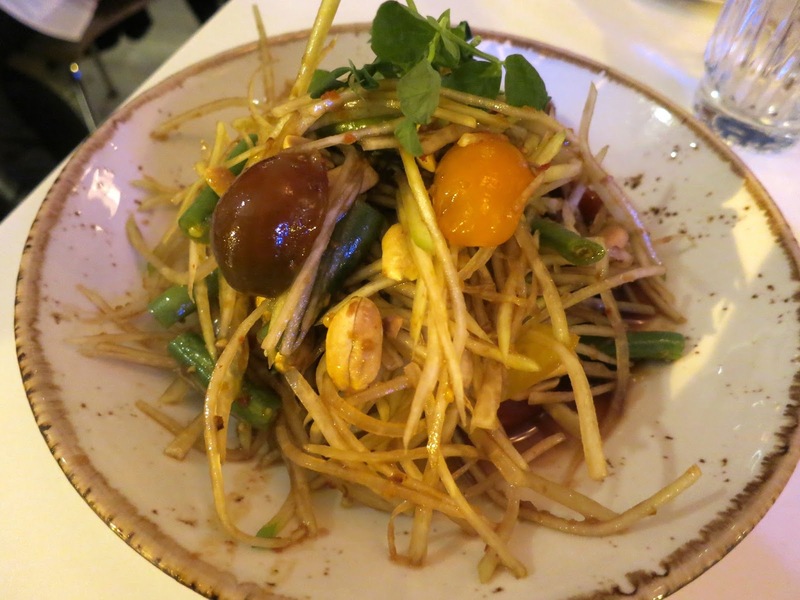 We also shared the Green Papaya Salad. With chili, lime, peanuts, and tomato, this simple, yet satisfying dish was really fantastic. No dessert this time. The food, atmosphere, and prices were great. Doi moi continues to satisfy my need for upscale Asian food every couple of months.